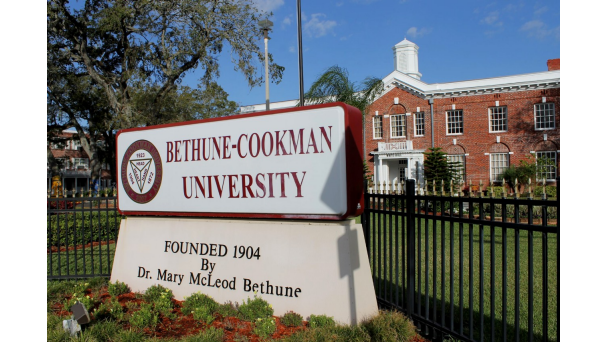 The Bethune-Cookman University Undergraduate Catalog provides current information concerning academic programs, policies, procedures, and requirements pertinent to satisfying requirements for a degree and graduation from the University. The Course Offerings Schedule, which announces courses offered each Semester and summer sessions, is based on vertical curricula in this catalog. The University reserves the right to change this publication, including Major Area and/or University-wide Graduation Requirements. Information regarding changes in the University catalog will be readily available in the offices of the Provost, Academic School Deans, Department Chairs, and Office Directors. Such changes will supersede those here and, while every effort will be made to communicate such changes as widely as possible, no direct notice to individual students should be expected. The University uses its internet-based webmail program as the primary vehicle for communicating with enrolled students. Therefore, each student will want to activate his or her web address and login daily. To graduate from the University, the student is responsible for completing both the Universitywide general education program and major content area requirements. In addition, each student must write and defend a senior thesis and pass a comprehensive exit exam or project. Faculty members are responsible for providing instruction and advisement to assist students in successfully completing all requirements leading to graduation. Academic programs and requirements for students enrolled in the master’s degree program(s) at Bethune-Cookman University will be printed in the graduate catalog available through the School of Graduate Studies. 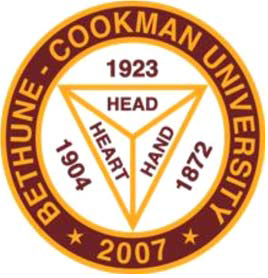 The Catalog of Bethune-Cookman University is, in effect, an agreement between the student and the University. It contains information concerning academic requirements as well as specific regulations of the University. Each student should familiarize himself with its provisions in order to prevent unnecessary uncertainty, difficulties, and delays that will impede progress toward graduation. While this catalog accurately reflects the programs, policies, and requirements of the institution at the time of printing, the University reserves the right to change or amend its contents in any way deemed necessary.